New England Bites: May 2010 Vacation - Goin' Out with a Bang! May 2010 Vacation - Goin' Out with a Bang! On one of the last days of my vacation, Mom decided to surprise me with a trip to the Lizzie Borden Museum. 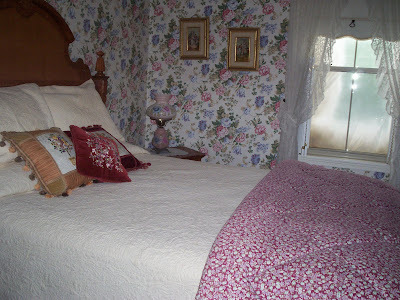 To be honest, it's about time that we pay a visit - we live two streets away. After standing in line waiting for the tour to start, and having to deal with several impatient people, we went inside. I'd love to stay here. They are doing some major renovations. 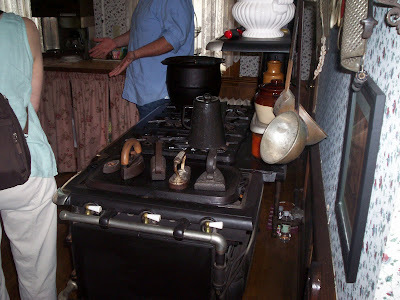 Our tour guide was Will, who made our trip inside the murder house fun and exciting. 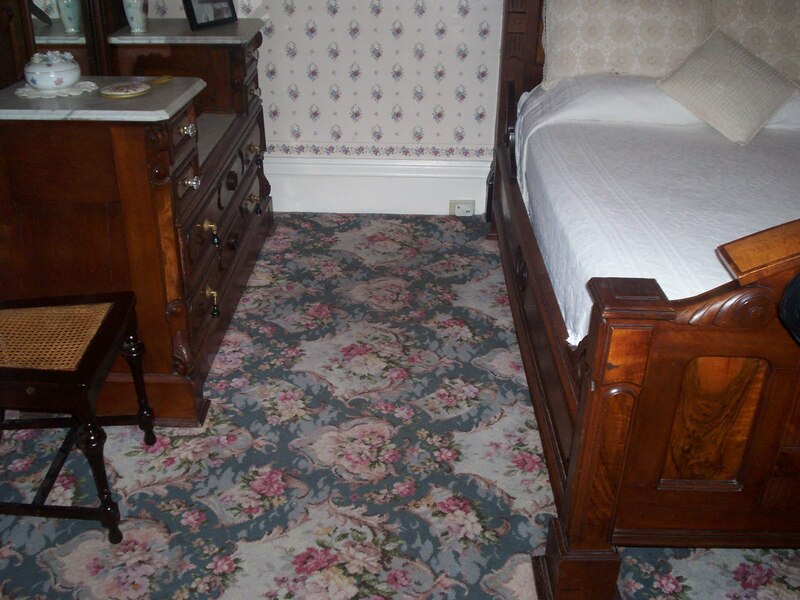 During one part of the tour, I leaned up against the wall to make room for a few old ladies. 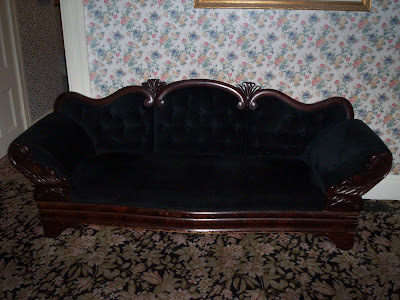 Much to my horror, I was not leaning against a wall, but a door that opened into the parlor. 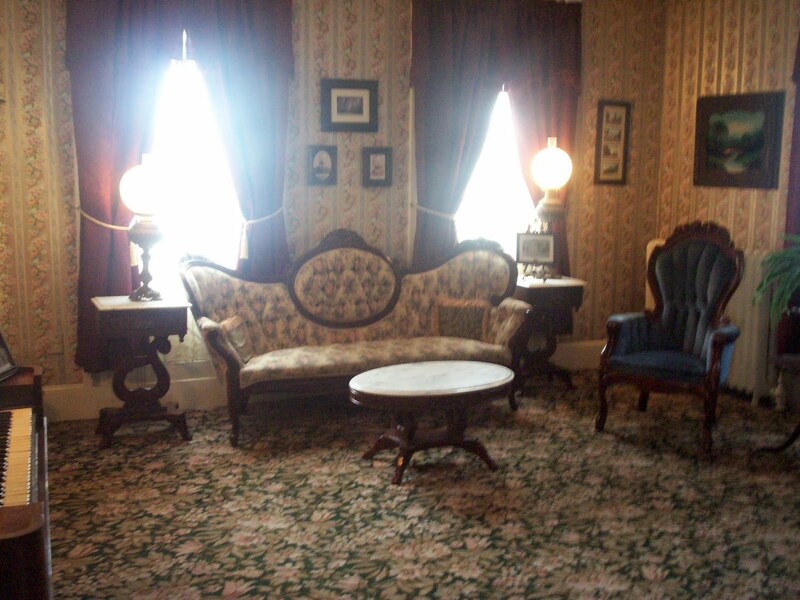 So, I made a huge scene with arms flapping at the Lizzie Borden house. 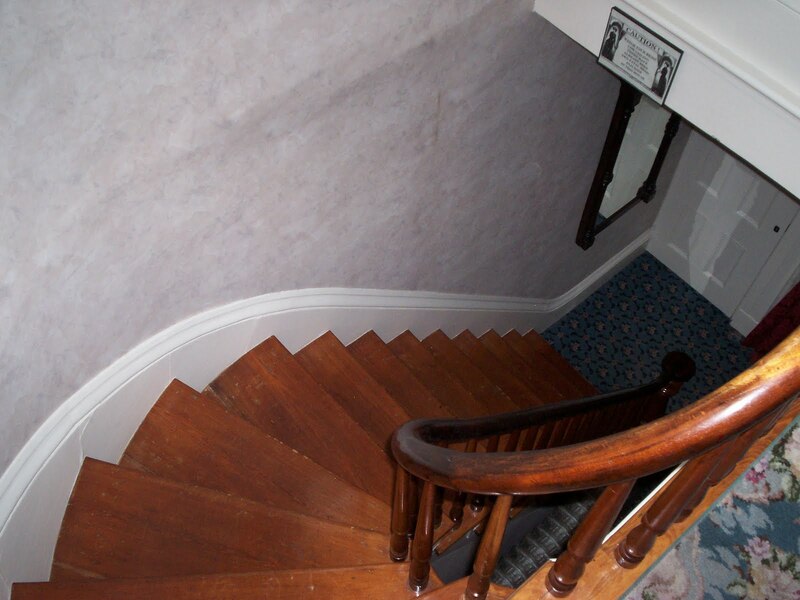 The tour guide said, "Pay no attention to that girl falling through the door." We all laughed and moved on. 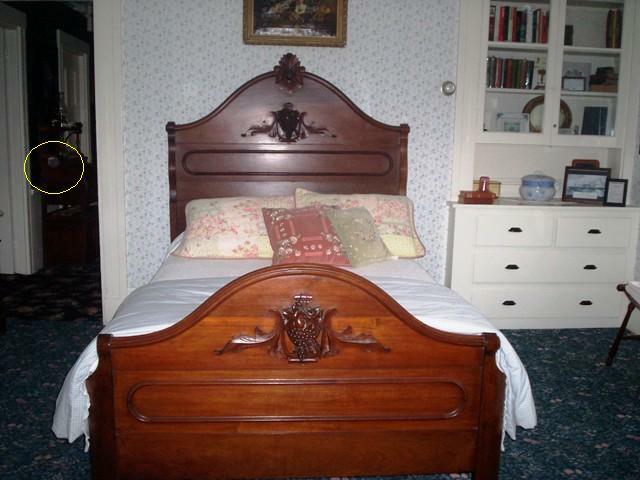 The guest bedroom where Mrs. Borden got whacked. Mr. Borden got chopped on the couch in the sitting room. I kept taking pictures, and noticed that there were a few orbs in the photos. I said this out loud, and suddenly my orbs became the hit of the room. 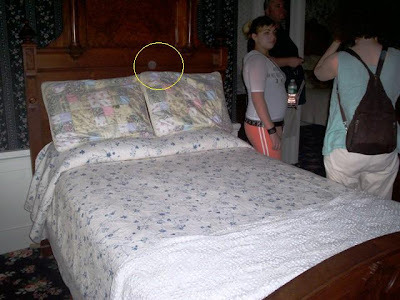 There was also a second guy who had been taking pictures that showed me his orbs (sounds dirty, but it wasn't). I think we both ended up with about four orbs. I've circled them in the pictures below. I know that most people think that orbs are just dust particles that get into your camera lens, but since the Lizzie Borden house is one of the country's most haunted places, I can't be too certain. 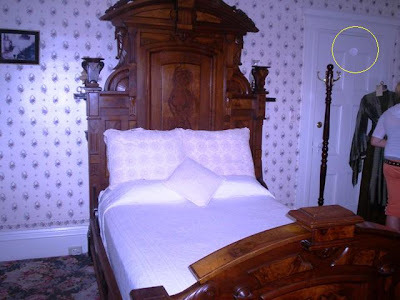 Orb on Mr. and Mrs. Borden's bed. 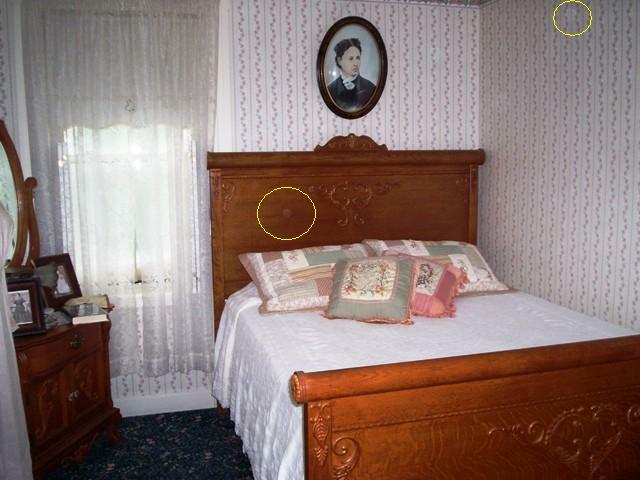 Two orbs in Emma's room. 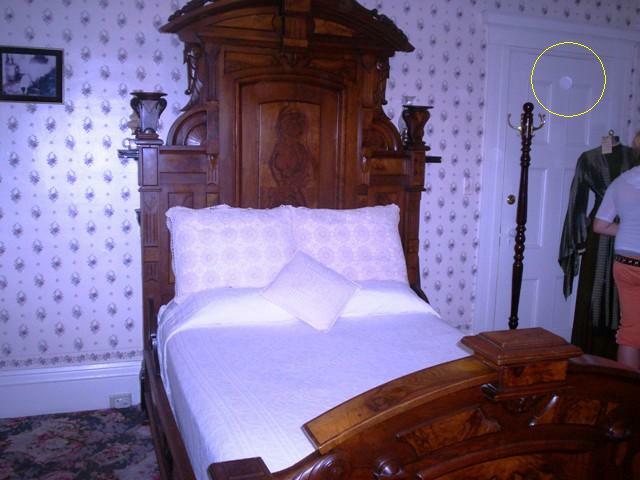 Orb on the closet door in one of the murder rooms. Orb in Lizzie's bedroom doorway. The house was beautiful, and of course, we visited the gift shop before heading out. Mom and I already knew the story of Lizzie, but it was a whole different experience hearing the story and seeing the photos in the actual house where the murders took place. We can't wait to go back! 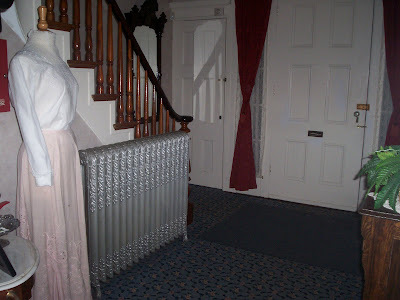 Beautiful period dress in the hallway. 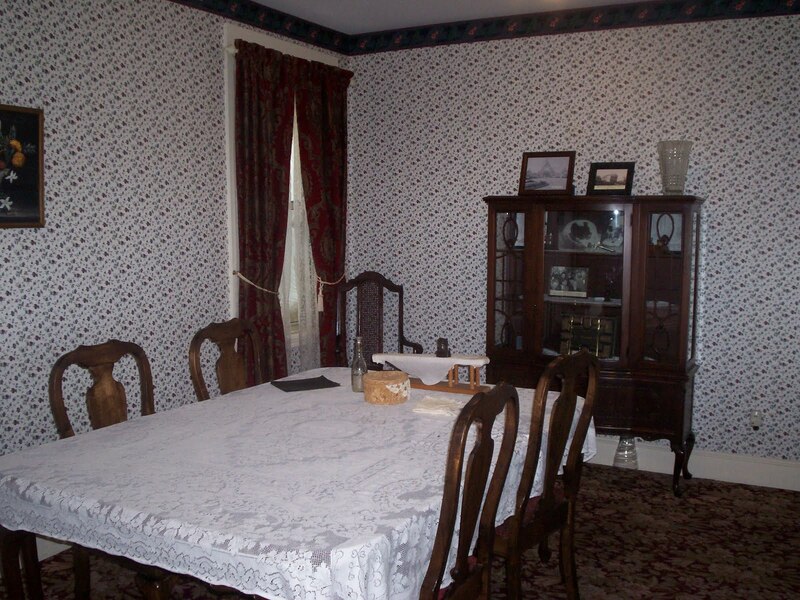 Dining room where Will showed us autopsy photos. 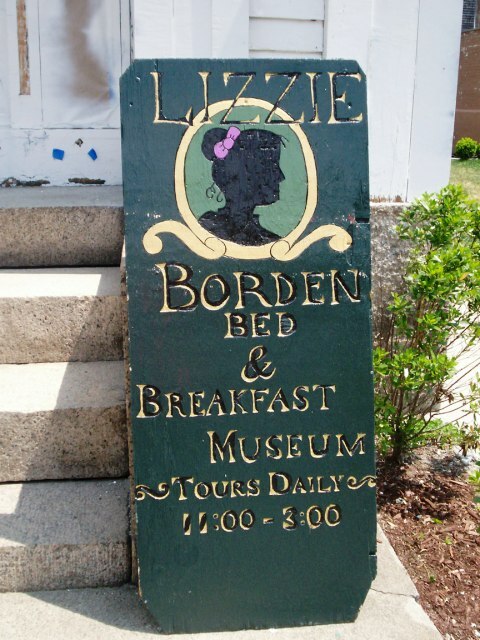 Formerly Mrs. Borden's dressing room. Kitchen stove where Lizzie burned her infamous dress. 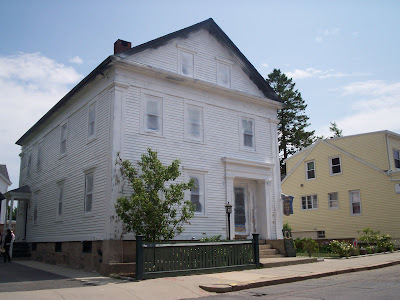 We headed for an awesome lunch at Fay's Restaurant in New Bedford, the restaurant that we visited last Saturday. Click here to read the review. We had a lovely meal of pizza and pasta, and it was just as good the second time as it was the first. Next, we decided to go all the way back to Ben & Bill's Chocolate Emporium in Falmouth for a pound of chocolate marshmallow fudge and some homemade ice cream (click here for our first review). Mom got the buttercrunch this time and I got a scoop of rocky road and a scoop of coconut macadamia. They were both out of this world, and check out the fudge! I can't wait to dig in. It cost me $23 for the two ice creams and the pound of fudge. Yikes! I also bought some souvenirs across the street at Celebrations. I can't wait to eat this. Finally, we headed back to the city to do our normal Saturday errands. After leaving Dollar Tree in Swansea and attempting to reverse out of the parking spot, we heard a large BANG. The car wouldn't move. It felt like we hit something, but we didn't. I knew exactly what it was - it was the same problem that I had experienced last week at work. After trying, unsuccessfully, to get the car working, my father had to come to the rescue and take Mom and I around to do our errands. My car, on the other hand, was up on a tow truck and being dropped off at the garage. The last time it was there, they said that it was either a transmission or a brake issue. I'll pay for a brake problem to be fixed, but if the transmission goes, it's goodbye Kia. Also, I'd foolishly worn flip flops knowing that I was going to be doing a lot of walking. 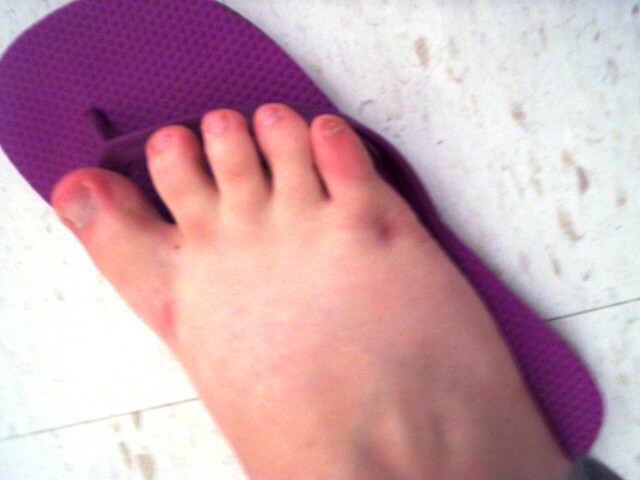 This is what happened to my foot. Please excuse the stubby Flintstone toes. Stump toes and flop blisters. 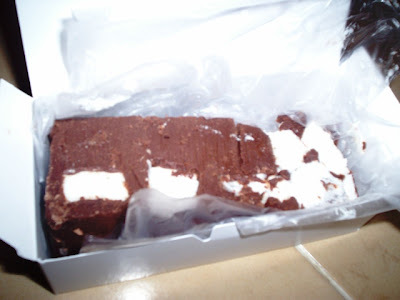 So ... here I sit, with my box of fudge, stuck home until Tuesday when I have to get a ride to work from my dad - at 5:15 a.m. Normally, I start work at nine. Talk about getting an early start. Thankfully, my job seems to be OK with me working from 6 a.m. to 2:30 p.m. To be honest, it's either that, or not go in at all. I'm just lucky that my dad's office is across the street from mine. I have really enjoyed my vacation. There have been a lot of ups, and as of yesterday, a lot of downs. 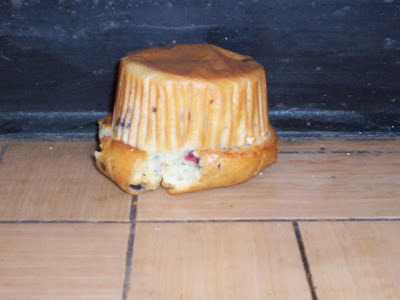 The following picture, taken under the bakery case at Stop & Shop, can best describe how I'm feeling right now. R.I.P. May 2010 Vacation, but hopefully not R.I.P. my Kia Sportage. I can't wait until my next week off. C'mon October!!! Face-down muffin on the floor of Stop & Shop.